I’m often asked what are the best travel assignments I’ve experienced. This is a tough question to answer after taking seventy six trips since 2009 - and I’ve enjoyed the whole lot! But, here are a few of the more memorable writing assignments in the recent past. They’re all different kinds of trips, so it’s up to you to decide which ones sound good to you. 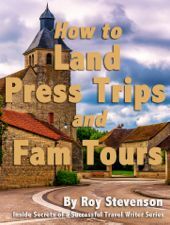 I’ve included links to articles online for some of the trips if you want to read more about it. 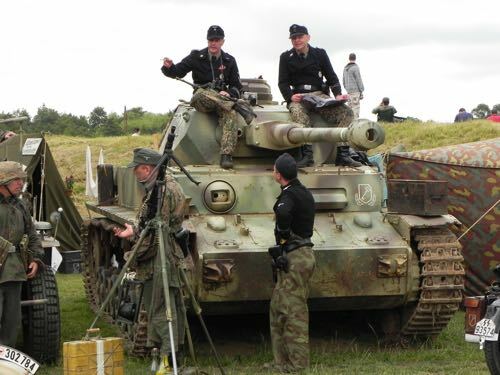 Every year, in the lush green Kent countryside of southern England, over 3,000 military vehicles gather for five days of over-the-top living history battle re-enactments and armored vehicle maneuvers, at the famous War & Peace Show. Held on the rambling 400-acre Hop Farm Family Park, its vast fields interspersed with large clumps of dark, silent oak forest, the War & Peace Show is the world’s largest, most diverse, and most spectacular military vehicle action show. All others pale in comparison. This is the holy grail of military vehicle conventions. 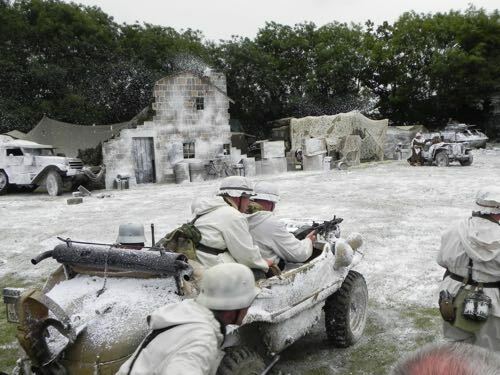 I visited the 29th annual War & Peace Show in July 2011, to see if it lives up to its reputation as a military extravaganza, and was not disappointed. Although this sort of gathering isn’t for everyone, it’s one of my best travel assignments because of my love for all things military. Crammed with an unbelievable array of tanks, trucks, jeeps, armored cars, and soft-skinned vehicles, clattering and clanking around the muddy fields, War & Peace turned out to be the military vehicle enthusiast’s Nirvana. 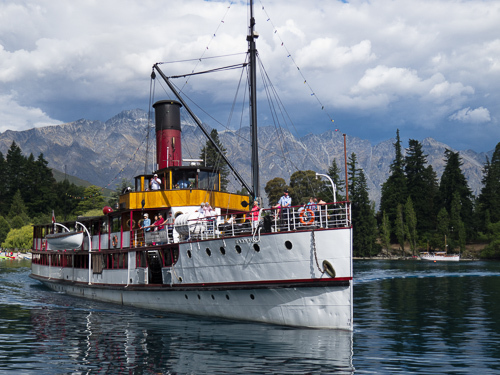 Queenstown has changed since my years of growing up in New Zealand. These days it’s a popular international hotspot. It always had the scenic currency for this transformation, and it was only a matter of time for the world to discover it. That time has arrived—in spades. 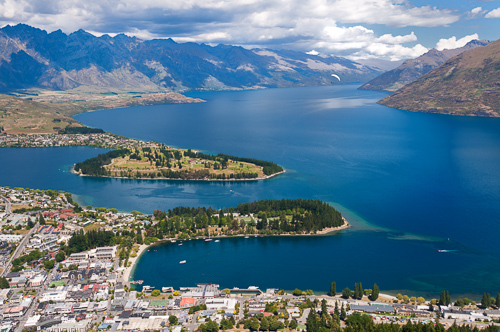 Few resort towns in the world can rival Queenstown’s outrageous natural setting with sweeping views of the lake, the valley and the mountains. It really does take your breath away. 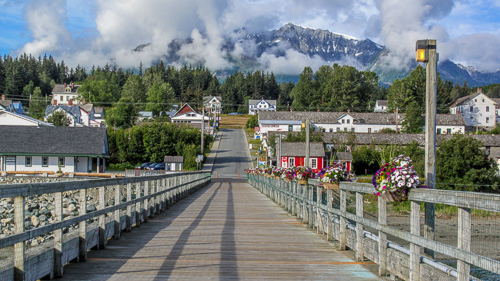 Touring around Alaska on “the other cruise line”, the Alaska Marine Highway System (AMHS) gave us the opportunity to stop off and stay as long as we wanted in each small town. 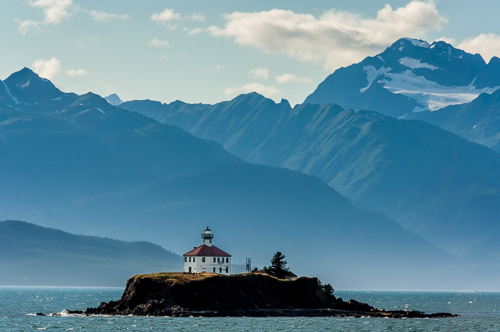 It’s a perfect mode of transport for the independent traveler, and a way to explore the bounty of nature offered in Alaska. The AMHS is the first water-based highway in the United States to be designated a National Scenic Byway. We spent three weeks exploring Borneo, mostly on our own. If you enjoy native cultures, and nature and wildlife experiences, few islands can rival Borneo’s deep treasure trove of offerings. But, by far our favorite travel assignment was a day trip during our stay at the fascinating riverside city of Kuching in Sarawak, Malaysia. We packed three activities into one day when Ivy Chin, proprietor of Borneo Trek and Kayak Adventure, graciously offered us her most popular excursion. 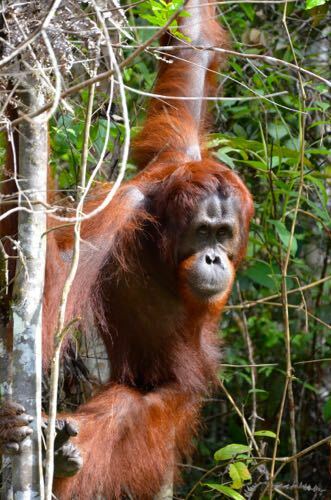 Our first stop was at the Semengoh Wildlife Center, renowned for its friendly Orangutans. It gave us a chance to get up close and personal with these fascinating animals. We were lucky to encounter a family of orangutans as they strolled across the road in front of us and then relaxed under a tree (while the group of gaping tourists took hundreds of photos). In the Borneo highlands we visited the Mountain Village Longhouses, an entire longhouse village raised high up on stilts. 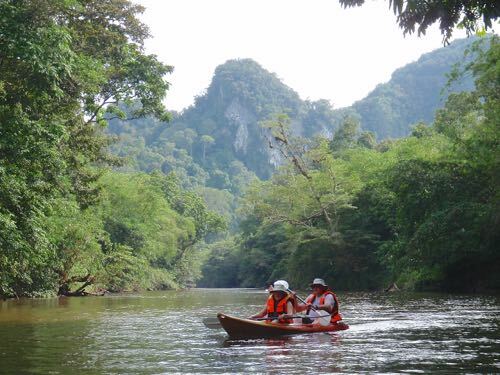 Then, we kayaked down the Sarawak River, a gentle river trip, past enormous rock formations and some of the most rugged jungle terrain imaginable. TripAdvisor gives the Borneo Trek and Kayak Adventure company five-stars - I'd give it more stars if I could. 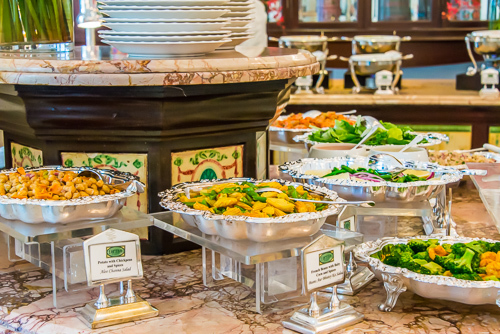 Every part of the tour was perfectly executed, including the lunch provided. If you find yourself in Kuching, this is a day trip not to be missed! Be sure and tell Ivy and Jackson we said "hi". I have a special affection for Singapore after living there for a few years while my wife had a work assignment in Singapore. We went back for a visit in 2012, and found lots of changes. These days, the small island nation of Singapore packs more touristic punch than many larger countries. This sophisticated island state bristles with banks, offices and high rise-commercial buildings. And now it offers a surprising number of world-class tourist attractions, sprinkled throughout its compact territory. One new attraction, the towering Singapore Flyer, slowly revolves high above the marina waterfront district, offering spectacular island-wide panoramas that easily rival the views from the London Eye. Sentosa Island has miraculously transformed into S.E. Asia’s equivalent of Disneyland, bursting with brand new rides and attractions alongside a Universal Studios theme park. Toss in the futuristic and perfectly landscaped Gardens by the Bay that showcases the best of S.E. 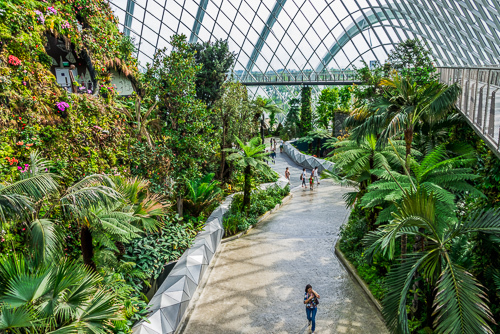 Asia’s tropical flora in huge glass enclosures, plus several first-class cultural and history museums, and Singapore offers enough to keep even the most jaded tourist pounding the pavement for several days with guidebook in hand. This island has definitely arrived as one of S.E. Asia’s hottest tourist destinations. 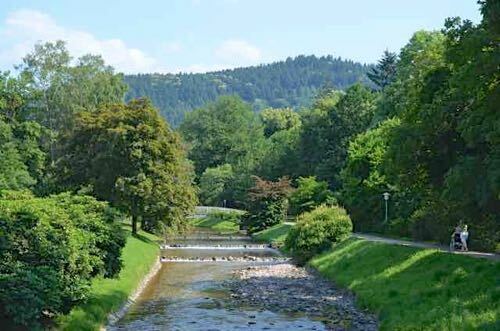 Baden-Baden is an immaculate, upscale little town, tucked away in the foothills of southwest Germany’s Black Forest. It’s a luxurious village of 55,000 people, and is a cross between Monte Carlo, Paris, Spa, and an English Park. It’s not your average tourist destination. My travel assignment takes me to one of the world’s most beautifully appointed casinos, on a stroll along Lichtentaler Allee, a verdant green park that is a dead ringer for an English Victorian garden, and wandering the perfectly restored, medieval cobble stone streets lined with upscale boutique shops. Nearby are the thermal mineral waters at very modern Caracalla-Therme and the old world elegance of the Friedrichsbad hot water pools. Below the Friedrichsbad pools are the remains of the original Roman baths, reminding me of the ingenious and advanced Roman architecture of the time. 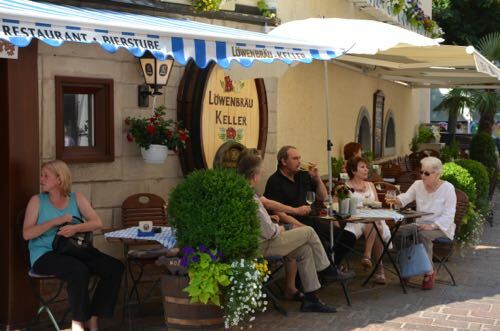 If you have deep pockets and you’re looking for a slice of upscale heaven, Baden-Baden is for you. You can see more photos and read my complete article on EuropeUpClose.com.